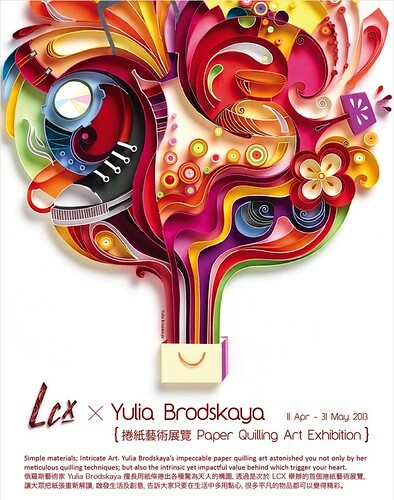 While the dimensional paper art of Yulia Brodskaya has become very familiar to many of us who follow her work online, it will be viewed by a new audience beginning this Friday at LCX, a premium fashion store in Hong Kong that frequently hosts art events. A shopping bag brimming with colorful purchases was designed by Yulia, a London-based Russian illustrator and graphic designer, specifically for this exhibition that runs from April 11 through May 31. As Yulia says in the show's opening statement, she's very excited to showcase her work. The exhibit is a combination of original paper art, large scale animated prints, and 3D installations. Some of the largest pieces will be displayed as an 80 meter Art Walk Corridor. 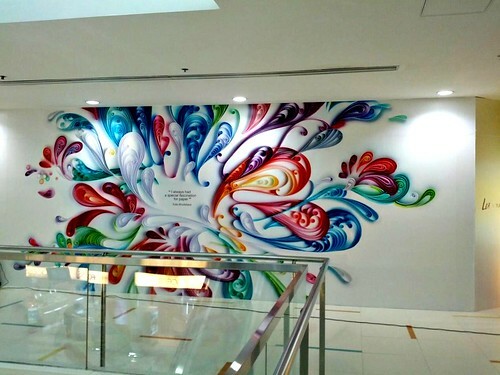 Located on Level 3 of the Ocean Terminal in Harbour City, the exhibition is sponsored by Polytrade Paper Corporation Limited. 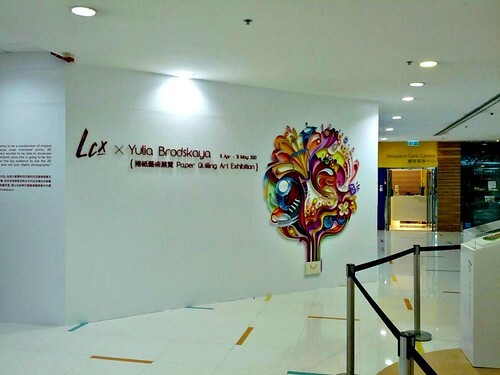 There will be an art demonstration and chat session with Yulia on Friday, April 12 from 7-8 PM. 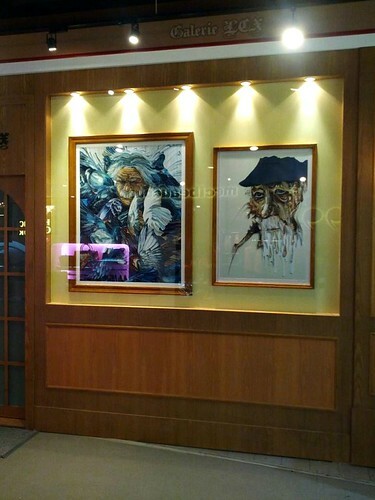 She has been in Hong Kong in recent days readying the exhibit. Excuse the reflections on a few of these shots that were shared by Yulia's husband on Facebook, but if you're like me, you'll marvel at the scale of her work. I had no idea the pieces were so large! With any luck there will be additional exhibition photos in the days ahead, but for now, check out the BIG decorations and installations [edit: no longer available] Yulia created for the 2013 Spring Festival at Daning, a shopping center in Shanghai. I agree, Lulu... photos are great, but they simply don't do paper art justice. I'd love to see Yulia's work in person. She is such an inspiration.I can't have enough of her work. I am amazed too Ann at how big her pieces are and the width of the paper strips she uses. Thanks for the decoration and installation link , I enjoyed viewing all her work .she is light years ahead of me. Just beautiful. I do wish I could go see that exhibition. Thanks Ann..Another day of being truly inspired. I wish I could be there 7-8 pm in Harbour city..simply witnessing Excellence. wow I do love her work, didnt relize they are so large, she's truely an Artist !!!! The colors and shapes are fantastic! How I wish I could go see in person. Her display looks absolutely stunning. With this sneak peak it looks more like her personal work rather than her commercial work, and if so, I'm so happy for her to be able to express herself! Holy cow! 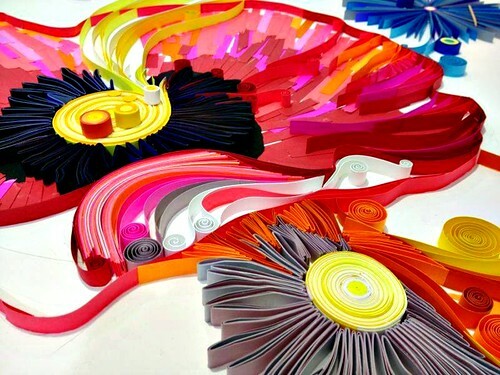 These are giant quilling art pieces! They are amazing. Wish I could see them in person. just stunning!!! 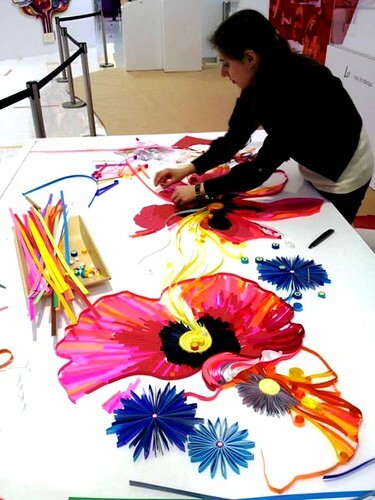 i am wondering how wide is the card that yulia has used to create those large art pieces? just stunning! !